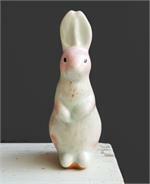 Very round, very cute, long pink ears and soft speckled breast set off by a beautiful bright aqua. Perfect for Easter. 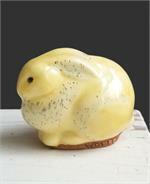 This bunny is 2-1/2 inches high. 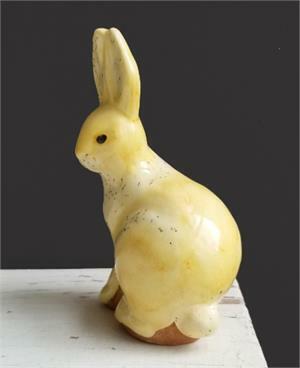 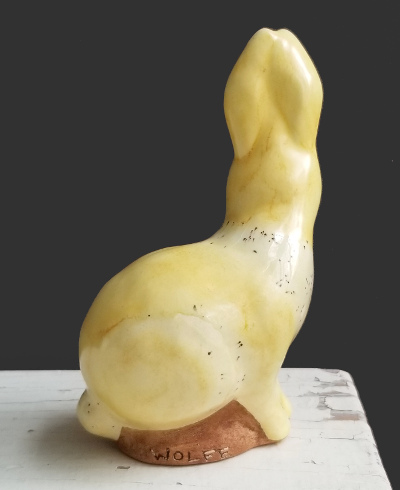 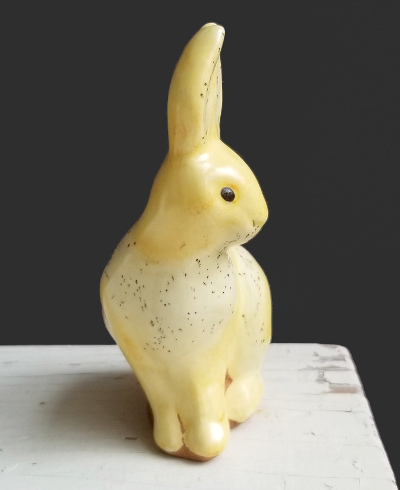 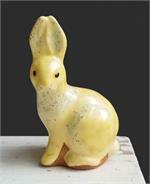 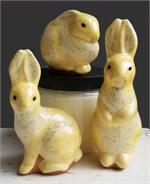 Our small standing bunny in soft pink with speckled cream accents.